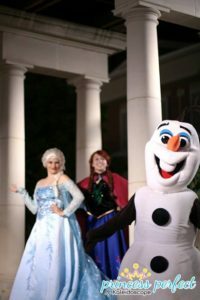 Two princesses, an awesome friend, and one super fun snowman! Our princesses are available for any of our normal packages, or for meet and greets. Forget Santa: check out these frozen friends! The benefit of any of these characters is they don’t exclude kids who don’t celebrate Christmas, or the kid who’ve already met Santa at the mall (or any of the other parties they visited this year). Kids can come up to our characters for a short conversation, big hug, and lots of photos! We can also have scheduled “show” times for a big group singalong for anyone who wants to join in, or story time with the princesses. Our Holiday Meet & Greet Special is a 3 hr minimum perfect for large corporate or nonprofit holiday events with $150/hr for the first character and $100/hr for every character after that. Angels! Sugar Plum Fairies! Nutcrackers! Winter Wonderland! Need something more and different? Try out our holiday angels and sugar plum fairies. They bring along with them the Christmas spirit as well as a warm lively personalities to light up your holiday party. Christmas-themed singalong, stories, and games. Having these angels or fairies at your holiday event will cost you just as much as it would to have a princess package. You can invite a sugar plum fairy to entertain your guests, sing songs and tell stories or just interact with the children or a Christmas angel or both! We’re here to meet your entertainment needs. 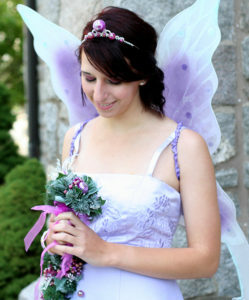 You can do both princesses and fairies or which ever best suits your event and guests needs. Santa and Elves also available!